Random selection and computer screening – sometimes returns are selected based solely on a statistical formula. Your tax return is compared against “norms” for similar returns. These “norms” were developed from audits of a statistically valid random sample of returns, as part of the National Research Program the IRS conducts. The IRS uses this program to update return selection information. Related examinations – Your returns may be selected when they involve issues or transactions with other taxpayers, such as business partners or investors, whose returns were selected for audit. The IRS will provide you with a written request for the specific documents they want to see. 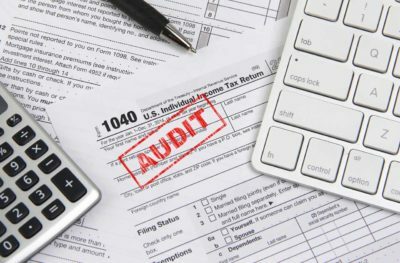 Generally, the IRS can include returns filed within the last three years in an audit. If they identify a substantial error, they may add additional years. The length varies depending on the type of audit; the complexity of the issues; the availability of information requested and of course, the professional experience of those you have on your side.